With years of experience, Amit provides active assistance to multinational high-tech, semiconductor, banking, beverage, and business consultancy corporations, in the transfer of employees to Israel. Amit is a member of the Committee on Foreign Workers of the Israel Bar Association, responsible for leading legislative and policy activities with regard to the entry of foreign experts to Israel. 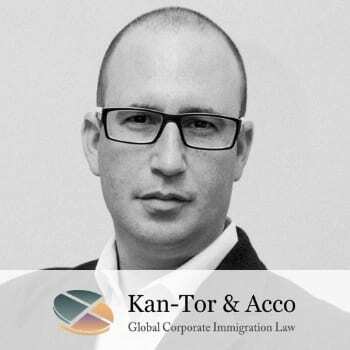 Amit served as a moderator and speaker of the 1st and 2nd legal conference regarding legislation relating to foreign employees in Israel, which was attended by over 200 members of the Israeli legal community. Amit regularly authors articles on the topic of Israeli immigration and is frequently published on the Israeli Bar Association web site. Amit is a member of the IPBA (Inner Pacific Bar Association) and a Co-Chair of the Scholarship committee of the same organization. Amit was selected to be an M.S. Lin Scholar to the 14th Annual IPBA Conference 2004 in Seoul, Korea. Amit is an Aila International Associate (Amit does not provide legal services and/or councel concerning or relating to the immigration laws of the United States of America). Amit holds an LLB Honors degree from the Faculty of Law of Thames Valley University, London, U.K.
Amit is also at The Israel -America Chamber of Commerce Board of Directors .